Melbourne’s median growth area land price drops for the second consecutive month. The 0.7 per cent drop equates to $2,500, or around $85 per day. That said, over the 12 months, the median land price has increased by 23 per cent or around $65,000. More projects launched than completed over the last three years, a net increase of around 18,000 lots. During Jun. ’18, six of the seven growth area municipalities recorded a fall (excluding Hume). For the second month in a row, the Melbourne median land price has fallen. Over the last 30 days, the median land price fell by 0.7 per cent to $348,000 ($2,500). In total, a fall of $7,000 from its peak in April this year of $355,000. Perhaps, the narrative around a tempering growth area land market in line with established dwelling prices, not a collapse is becoming the reality. The 2017 / 18 financial year has delivered a remarkably strong period of price growth, with the Melbourne land market experiencing a 23 per cent increase – outperforming capital city land markets in all states. The year-on-year increase peaked in February this year, reaching 39 per cent, and since decreased to the present figure (as shown in Table 1). The question now: extent of this correction? A significant correction or collapse would equate to a fall of around 20 per cent, which would deliver a healthy median land price of around $285,000 (in line with the median some 12 months ago). That said, it should come as little surprise that the market should correct at some point in time. On the retail supply side, what’s happening in terms of new project launches – and why didn’t we reach that magical 200 growth area land projects. The table below demonstrates the number of projects, per financial year, to launch and complete over the last three years. The number of projects beginning over this whole period outweighs the number of completions, highlighting the strength of the market. Notably, the number of commencements has been declining (to 22 projects in 2018FY, average of around 31 per annum over the last three years). The number of completions in 2018 was 25 (an average of around 30 per annum over the last three years). In financial year 2018, the number of new lots being released to the market in new projects, outnumbered the completion of projects by 10,300 lots, aided by large master planned communities commencing. The median number of lots per project has almost doubled over recent years. And in terms of pricing? Every region experienced a monthly price decrease, Hume being an exception. Cardinia has the highest median land price of $447,500. However holds the lowest dollar per square metre figure of around $550 and as the region has minimal stock (which is predominantly larger lots). Casey has recorded a one per cent price decrease for the month of June and has had the lowest price increase for the financial year, demonstrating that the regions immense price growth that occurred recently has somewhat cooled over the recent period. Hume being the only municipality to record an increase registered an impressive 5.2 per cent monthly increase to $385,000, showcasing the northern region in similar standards as the south-east. Interestingly, neighbouring region Whittlesea has recorded the highest monthly price decrease equating to 3.9 per cent, although holding the same yearly increase as Hume. Wyndham and Melton both experienced moderate price corrections this month (<2 per cent), with Melton’s median land price increasing 38 per cent this financial year and Wyndham 16 per cent. Lastly, the outer northern region of Mitchell seems to have followed suit with all other regions and halted in price growth after an impressive 86 per cent hike financial year 2017/18. Red23 is a specialist marketing, sales and research partner for residential development businesses. Our passion and expertise is for new and establishing projects in the areas of land, medium density and mixed used property developments in Victoria, New South Wales and Queensland. We believe in challenging the status quo of residential project marketing. No matter how big or small a residential project is, Red23 shares the same passion with developers in creating communities, places and homes where people want to live, grow and invest in. 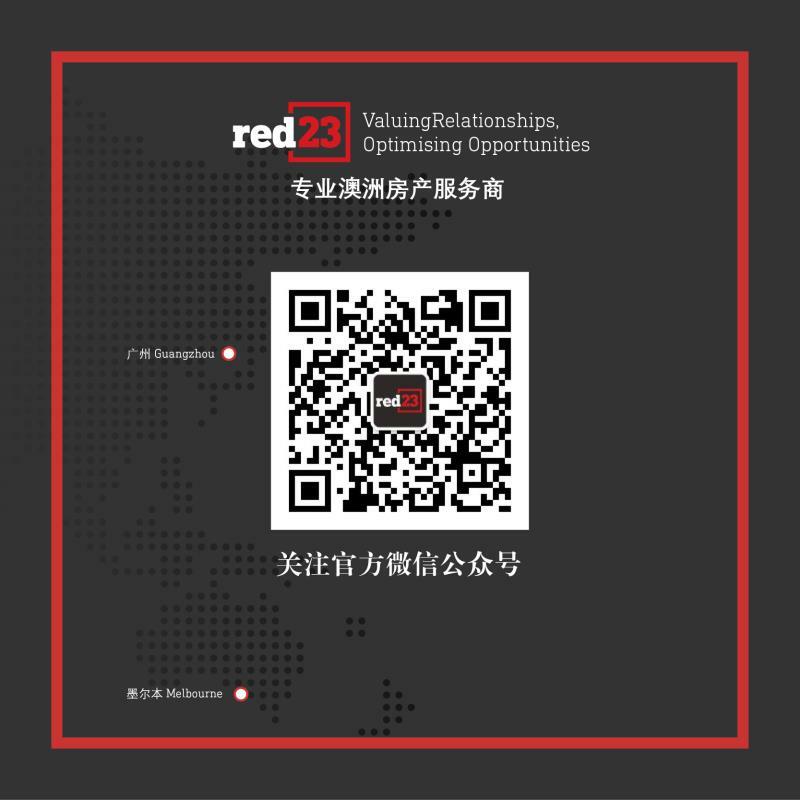 Red23 becomes an extension to our client’s development team and assist with tailored and nimble marketing and sales strategies and services based on timely and customised research. If you require any assistance with regard to the residential market, please do not hesitate to contact Andrew Perkins on (03) 9540 0477.